Being without your fully operational vehicle is a major cause of stress. We’re in the business of relieving stress by making all repairs and maintenance a lot more convenient for you. Having work done on your car is no one’s idea of fun, but Metric Motors is here to ensure that your import repair goes as smoothly as possible. Our staff will work hard to make sure you are back behind the wheel of your car as quickly as possible, with no hassle. The knowledgeable technicians at Metric Motors are not only interested in getting you back on the road, but we actually want to keep your vehicle out of our shop! Quality maintenance and expert repairs always make sure you get the most value and extended usage out of your vehicle. That means keeping you on the highway and not inside our garage, or on the side of the road. Customers who bring their repairs to us first get the job done right the first time. When they bring their vehicle to less experienced shops, they often end up paying to get the original job fixed. If you’re looking for professional service that will exceed your expectations, you’ve found the right place. We seek to provide our customers the finest repair experience possible. 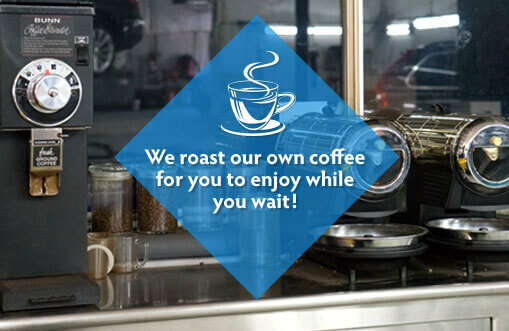 When you bring your import to Metric Motors you can relax, because we’re the import auto repair specialists, here to serve you and your vehicle. With every service, we have your best interests in mind, and will treat your car like it’s our own. If you need an estimate right away, fill out this form and someone will be in touch with you. Already know what work you need done or want to come in for routine maintenance? Schedule an appointment here and we’ll get in touch with you to confirm. Metric Motors – we’ll be here when you need us. We understand that you can’t always put your life on hold while you wait on your car. We make it convenient for you to either continue working, relaxing, or being entertained. Metric Motors offers free wi-fi so you can stay connected and satellite TV with a “movie theater popcorn maker.” Before you know it, we’ll have you fixed right up and you’ll be ready roll in no time. Need to leave your car after business hours? Download our Key Drop Envelope and fill it out on your PC. Simply print and leave your keys with us!